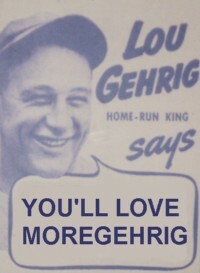 Welcome to MoreGehrig, the only place on the Web to encompass virtually every aspect of Lou Gehrig. 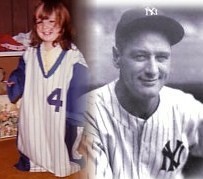 The goal of this site is to promote Gehrig's entire life, as opposed to lamenting only his consecutive games streak and the terrible disease from which he died. 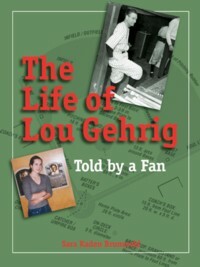 The MoreGehrig-inspired book is now available! "This is a highly readable montage of memories about the legendary Yankee first baseman who died too soon." "Brunsvold has assembled an attractive package for any Gehrig fan. Her funky, informal writing style and knack for storytelling makes for an easy and quick read." Kaden - Gehrig. It's a German love fest.